The final images are in, and the resulting portrait of Jupiter's moon Io, after a challenging series of observations by NASA's Galileo spacecraft, is a peppery world of even more plentiful and diverse volcanoes than scientists imagined before Galileo began orbiting Jupiter in 1995. Now that Galileo's observations of Io have ended, scientists are focusing on trying to understand the big picture of how Io works by examining details. Thirteen previously unknown active volcanoes dot infrared images from Galileo's final successful flyby of Io, volcanologist Dr. Rosaly Lopes of NASA's Jet Propulsion Laboratory reported today at the spring meeting of the American Geophysical Union in Washington, D.C.
"We expected maybe a dozen or two," said Dr. Torrence Johnson, Galileo project scientist at JPL in Pasadena, Calif. That expectation was based on discoveries by NASA's Voyager spacecraft in 1979 and 1980, and subsequent ground-based observations. "The volcanoes on Io have displayed an assortment of eruption styles, but recent observations have surprised us with the frequency of both giant plumes and crusted-over lakes of molten lava," said planetary scientist Dr. Alfred McEwen of the University of Arizona, Tucson. Galileo's latest images, which also show tall slopes crumbling and surface deposits from two eruptions' recent giant plumes, are available online from JPL at http://www.jpl.nasa.gov/images/io and from the University of Arizona Lunar and Planetary Laboratory at http://pirlwww.lpl.arizona.edu/Galileo/Releases . Some high-resolution views taken as Galileo skimmed past Io on Oct. 16, 2001, are aiding analysis of the connection between volcanism and the rise and fall of mountains on Io. Few of Io's volcanoes resemble the crater-topped volcanic peaks seen on Earth and Mars, said planetary scientist Dr. Elizabeth Turtle of the University of Arizona. Most of Io's volcanic craters are in relatively flat regions, not near mountains, but nearly half of the mountains Io does have sit right beside volcanic craters. "It appears that the process that drives mountain-building -- perhaps the tilting of blocks of crust -- also makes it easier for magma to get to the surface," Turtle said. She showed a new image revealing that material slumping off a mountain named Tohil Mons has not piled up in a crater below, suggesting that the crater floor has been molten more recently than any landslides have occurred. Galileo's infrared-mapping instrument has detected heat from the crater, indicating an active or very recent eruption. From the analysis of Galileo's observations, scientists are developing an understanding of how that distant world resurfaces itself differently than our world does. "On Earth, we have large-scale lateral transport of the crust by plate tectonics," McEwen said. "Io appears to have a very different tectonic style dominated by vertical motions. Lava rises from the deep interior and spreads out over the surface. Older lavas are continuously buried and compressed until they must break, with thrust faults raising the tall mountains. These faults also open new pathways to the surface for lava to follow, so we see complex relations between mountains and volcanoes, like at Tohil." "Io is a weird place," Johnson said. "We've known that since even before Voyager, and each time Galileo has given us a close look, we get more surprises. Galileo has vastly increased our understanding of Io even though the mission was not originally slated to study Io." Extensions to Galileo's original two-year orbital mission included six swings close to Io, where exposure to Jupiter's intense radiation belts stresses electronic equipment on board the spacecraft. Researchers presented some results today from two Io encounters in the second half of 2001. 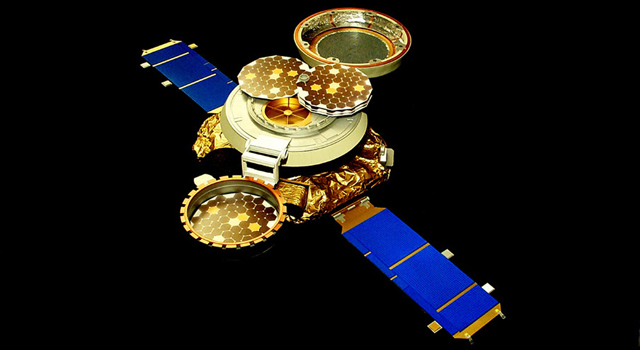 Observations were not made successfully during Galileo's final Io flyby, in January 2002, because effects of the radiation belts put the spacecraft into a precautionary standby mode during the crucial hours of the encounter. Galileo will make its last flyby of a moon when it passes close to Amalthea, a small inner satellite of Jupiter, on November 5. No imaging is planned for that flyby. 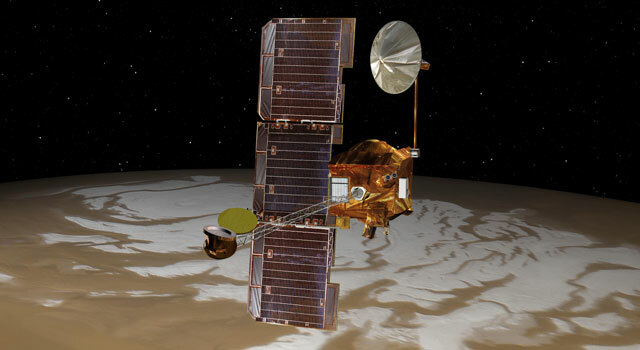 With fuel for altering its course and pointing its antenna nearly depleted, the long-lived spacecraft will then loop one last time away from Jupiter and perish in a final plunge into Jupiter's atmosphere in September 2003. Additional information about Galileo, Jupiter and Jupiter's moons is available online at http://galileo.jpl.nasa.gov . JPL, a division of the California Institute of Technology in Pasadena, manages Galileo for NASA's Office of Space Science, Washington, D.C.